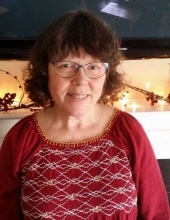 STEM: Jane Dare Landreth, 60, passed away on Wednesday, January 30, 2019 at Hillcrest Convalescent center in Durham. She was born in Greensboro, NC to the late John William Desper and Beverly Lewis Desper. In addition to her parents, Ms. Landreth was predeceased by her husband, Eddy Landreth and her brother, Steve Desper. Ms. Landreth was a retired nurse. Jane earned a BSN from UNC-G and spent over 30 years caring for patients at Moses Cone and UNC Chapel Hill hospitals, and at the UNC Lineberger Cancer Center. Her longest and most rewarding service was as a home health nurse. Driving through the rural areas of Orange and Chatham counties, the high level of patient care she delivered prevented many expensive and disruptive hospital visits. Ms. Landreth is survived by her daughter, Madison Dare Andrews (Russell); son, Jordan Charles Landreth; partner, Wayne Sherow; and brother, Jim Desper. A celebration of life will be held at 2 p.m. on Sunday, February 10th in the Gathering Room at Clements Funeral Home in Durham. The family welcomes your flowers as well as memorial donations you may choose to make to the health care charity or entity of your choice. To send flowers or a remembrance gift to the family of Jane Dare Landreth, please visit our Tribute Store. "Email Address" would like to share the life celebration of Jane Dare Landreth. Click on the "link" to go to share a favorite memory or leave a condolence message for the family.